There's still a meeting scheduled for next week between Canada's premiers and Indigenous organizations, but it won't include the leaders of the Assembly of First Nations, the Inuit Tapiriit Kanatami or the Métis National Council. They're all declining the Council of the Federation's invitation again this year. The three organizations cite different reasons for their absence, but the end result for the first day of the summer premiers' meeting remains the same as it was in 2017: the conversation won't include the three leaders who represent the largest number of First Nations, Inuit and Métis people in Canada. New Brunswick is hosting this summer's meeting at Pays de la Sagouine in Bouctouche, as it takes over as the chair of the Council of the Federation. In response to a question about exactly who was expected to attend, a spokesperson for New Brunswick's executive council office reported that all she could say is that organizers are still receiving RSVPs and confirmations on attendance. 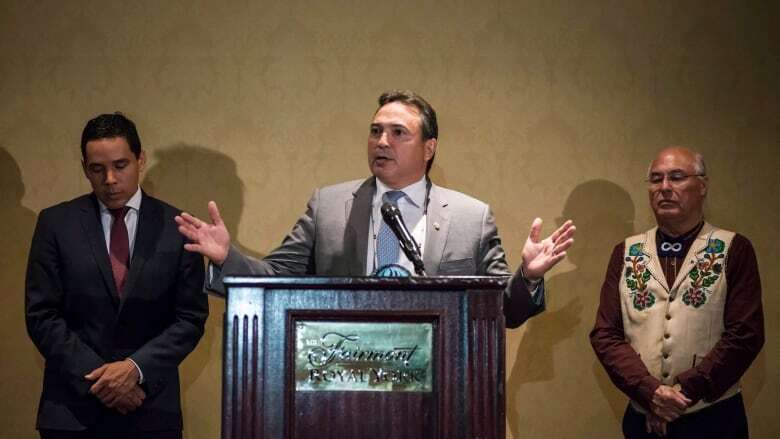 Before last year's talks in Edmonton, AFN National Chief Perry Bellegarde, ITK President Natan Obed and Métis National Council President Clément Chartier called a news conference in Toronto to tell the media they would not participate. "We are not just another special interest group," Bellegarde said back then. Bellegarde hasn't changed his mind. He said in a statement to CBC News Thursday that he's not going again this year because there's been no progress in addressing his organization's concerns. He also criticized "moves by premiers to minimize First Nations participation not only in meetings with premiers, but all federal-provincial-territorial ministerial level meetings." The AFN was planning to send a regional chief to the gathering, but on Thursday that changed. Bellegarde's statement said "First Nations leadership identified on the draft agenda had not been contacted and had not received invitations to date or [been] treated with appropriate protocol and respect." A smaller meeting between the premiers and the Congress of Aboriginal Peoples (CAP) — which represents Indigenous people living off-reserve in Canada — and the Native Women's Association of Canada (NWAC) is expected to proceed, as it did in Edmonton. Robert Bertrand, CAP's national chief, will be participating in next week's talks. He told CBC News Thursday that it's not too often that NWAC and CAP get this much face-time with the premiers to discuss the problems facing off-reserve Indigenous people and he found last year's session valuable. He said he heard from NWAC's president, Francyne Joe, that she'll be there as well. "I find for us it's an excellent way of meeting the new premiers," he said, without speculating on why other Indigenous leaders were staying away. "It's a win-win situation." He said the group's agenda for the meeting includes discussions of Indigenous children in care and economic development. Explaining his reasons for skipping the meeting again this year, Chartier said the premiers "don't respect the fact that the inherent right of self-government is alive and well in this country." When the New Brunswick organizers refer to what he leads as simply a "national Indigenous organization," they fail to recognize its status as the national government of the Métis nation, he said. "We're not invited as representatives of governments," he said. Chartier said that, as recently as last December, the outgoing chair of the Council of the Federation — Alberta Premier Rachel Notley — wrote a letter trying to direct the federal government in how it deals with his group, something he described as an act of "marginalization and non-recognition of our representativity of our nations and peoples." At issue is whether there are two levels of government in Canada — federal and provincial — or three, including First Nations, Inuit and Métis representation. The leaders of the Assembly of First Nations, the Inuit Tapiriit Kanatami and the Métis National Council say they don't appreciate being invited to meet alongside other organizations that represent Indigenous people but are not recognized governments of sovereign nations. Chartier said he's heard that the Women of the Métis Nation also were invited this year — a group not recognized as having the same status as the Métis National Council. "Because nothing has changed, the Metis Nation will not be accepting the invitation to attend," he said. Bellegarde is up for re-election when the AFN gathers later this month. In a pre-election period, the national chief relinquishes some administrative and financial authority and must limit his use of resources to AFN business — but meeting with provincial and territorial premiers is part of the job of the national chief. For its part, ITK has a scheduling conflict next week. The 13th general assembly of the Inuit Circumpolar Council takes place in Utqiagvik, Alaska July 16-19. The meeting is held once every four years, and elections are being held at this gathering as well. ITK's president, Obed, will lead Canada's delegation in Alaska. Any potential alternates that could have been sent to meet with the premiers in his place will also be in Alaska, ITK spokesperson Erin Brandt Filliter told CBC News. Filliter also suggested to CBC that, for ITK, last year's absence was motivated by the way the agenda was set for the talks, with the premiers seen as telling the Indigenous organizations what would be up for discussion. Jared Wesley, a University of Alberta professor who studies the Council of the Federation, disagrees with the characterization of the premiers' agenda-setting as top-down. It's consensus-based, he said. Some provinces were upset by what happened last year because they'd spent months negotiating an agenda they believed everyone was happy with, he wrote CBC News Wednesday. Chartier read the invitation the Métis National Council received from Gallant's office aloud during his interview with CBC News. It contained what he called "sloppy penmanship": the letter invited Chartier to meet with his own organization, the Métis National Council, among a list of invitees that did not include the AFN. It might have been a copying and pasting error, but considering it's an official letter, he wasn't impressed. "My officials will be in contact with your organization to seek your input on the development of the agenda for our discussion," Chartier said, reading more from the invitation. In fact, he said, no one contacted his office. Chartier is a veteran of premiers meetings, dating back over a decade. He said he's seen few results coming from them, aside from their past success in getting the premiers to call for a national inquiry on missing and murdered Indigenous women — something he called a "no-brainer." There was a time when premiers and Indigenous leaders made common cause against what they saw as an unsympathetic federal Conservative government led by Stephen Harper, he said. But the Métis, he said, are happier with the progress they've seen on their issues through working directly with Justin Trudeau's Liberal government. Issues around Métis membership criteria and the recognition of their rights remain, but Chartier said a national meeting is less relevant to him than a gathering of just the Western premiers who represent the jurisdictions across his people's homeland. The larger discussions only work well for discussing broad principles like child welfare, he said. "There really wasn't much that came out of these [past premiers] meetings other than talk," he said. As for the question of why the premiers aren't open to changing the format of the talks, or limiting who's invited, Chartier said he believes that's rooted in a possible threat to the premiers' self-interest. 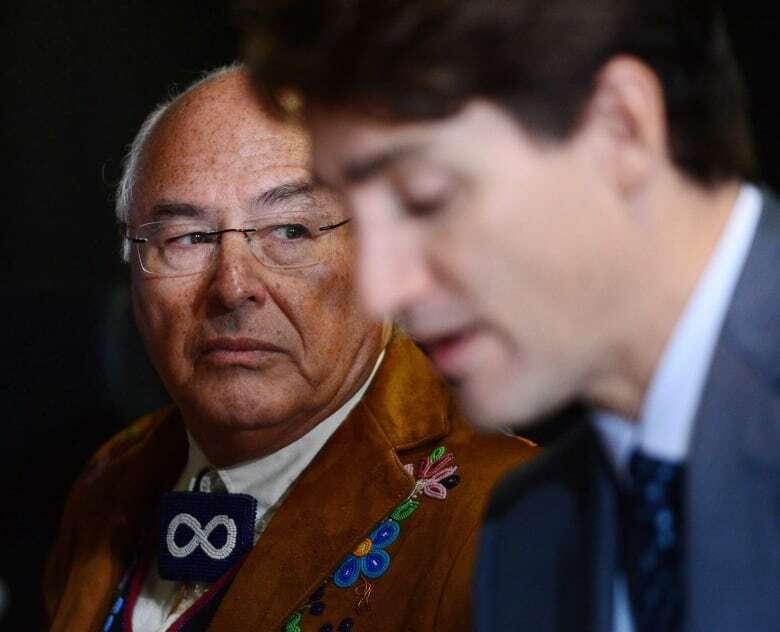 "The more Indigenous governments are recognized and the more transfer payments go directly to Indigenous governments, perhaps they fear they're going to be losing some of their transfer payments," he said. No official boycott was co-ordinated between the three groups this time, he said, although they do speak informally on a regular basis. "It's not a boycott. I just didn't accept the invitation."